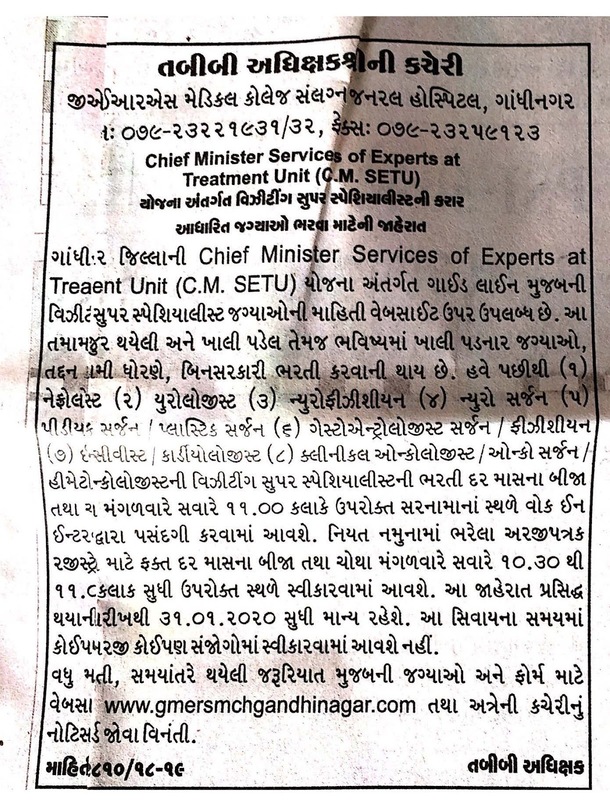 GMERS Gandhinagar has published Advertisement for below mentioned Posts 2019. Other details like age limit, educational qualification, selection process, application fee and how to apply are given below. 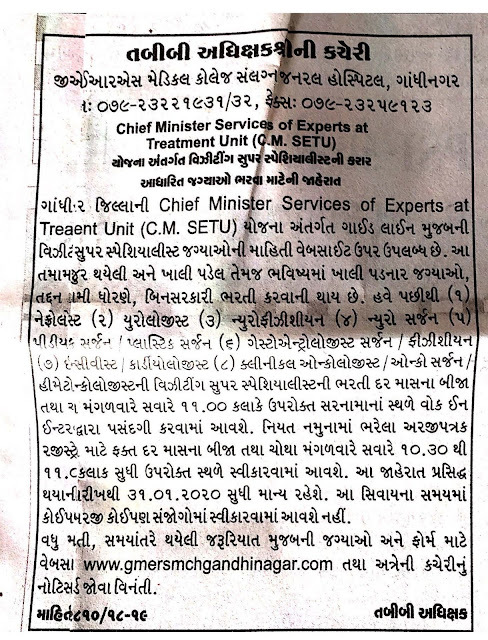 Walk-in-Interview: Second & Fourth Tuesday of Every Month till vacancy not fulfilled.